As the inventor of the footbed with its functional, orthopedic core expertise, BIRKENSTOCK has always stood for a healthy gait and stance. A subject that has long been close to our hearts: the expansion from anatomically shaped footbeds into anatomically shaped beds. We want to ensure that you not only lie as comfortably as possible, but that you also sleep as soundly as possible thanks to BIRKENSTOCK sleep systems. 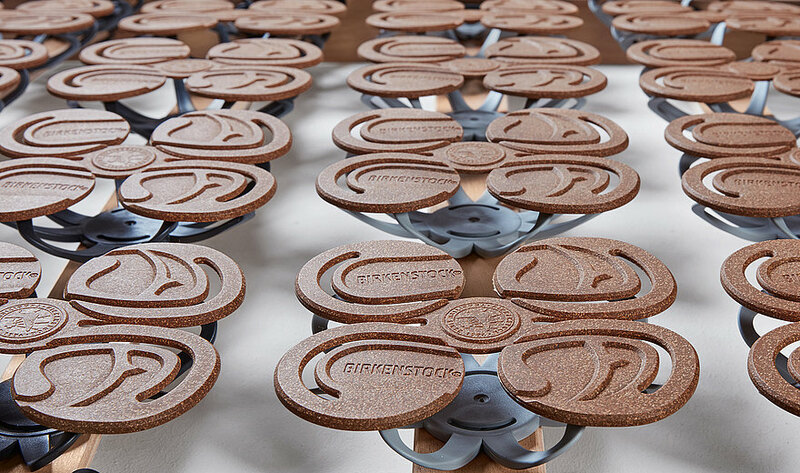 An inspired idea – only one step ahead: just like the original BIRKENSTOCK footbeds, BIRKENSTOCK sleep systems also mold to the shape of the body. Our slatted frames and mattresses adopt the form of the human body when lying down, and support it in a unique way: ideal conditions for restful sleep. 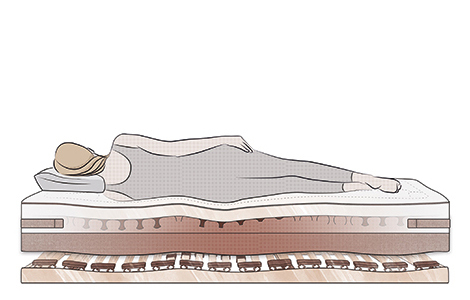 The BIRKENSTOCK sleep systems include yet another highlight: our mattresses have a newly-developed cork-latex layer. 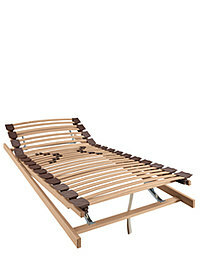 It is found in all BIRKENSTOCK mattresses and ensures perfectly balanced comfort when lying Down. Due to its increased surface elasticity it makes the necessary fine adjustments to the body. The specially developed slatted frame with waves that mold to the contours of the body forms a key part of our sleep systems. This wavy shape conforms to the natural contours of our bodies and aims to improve pressure distribution and relieve the human body. This support can be felt clearly when lying down – exactly how a foot also feels on our footbed in a shoe! The waves of the BIRKENSTOCK Body Contour System conforms to the natural contours of our bodies: It aims to improve pressure distribution and relieve the human body. Our mattresses are a perfect match and mirror this wavy shape – both components lead to exceptional comfort when lying down. The BIRKENSTOCK support made of natural latex with cork granulate works in combination with the mattresses and slatted frames to ensure perfect comfort when lying, as it takes care of the fine tuning needed for relieving pressure on the body in any sleeping position. The wave-shaped position of the flexible double-slat elements enables the slatted frame to adapt well to the contours of the body. 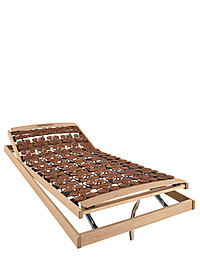 The BIRKENSTOCK support made of natural latex with cork granulate together with our mattress cores and slatted frames ensures exceptional comfort when lying down. The variable firmness adjustment in the center zone additionally supports the adaption to the contours of the body. The special 7-zone ergonomic design helps to mold the mattress to the contours of the body and enables restful sleep. Due to a particularly soft, integrated heel pressure relief in the slatted frame and mattress this especially sensitive pressure point will enjoy special relief for those lying on their back. BIRKENSTOCK is now bringing its core expertise in creating a healthful, comfortable fit and the resulting sense of well-being to a new product line: sleep systems with high point elasticity and optimal accommodation of the body’s contours to promote regeneration of the user’s musculoskeletal system. Both the form and function of the new slatted frames, mattresses and beds are matched to the human frame and promote healthy repose and restful sleep. 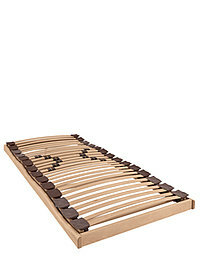 The BIRKENSTOCK range of beds consists of four box spring beds and two insert variants. Box spring beds are well-known for outstanding sleeping comfort and BIRKENSTOCK demands high levels of well-being as well as healthy sleeping comfort. Due to the modular structure, they can be adjusted to the user's individual requirements. The insert variants are ideally suited for combination with the BIRKENSTOCK sleep systems and can also be combined with the wave-shaped contour slatted frames as well as the straight variants. 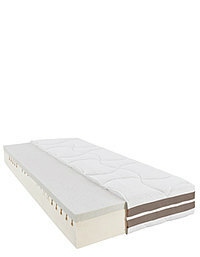 CANBERRA: The distinctive headboard made from hand-sewn thick leather lives through its use. CANBERRA: The bed frame, covered with the finest wool felt, turns it into an oasis for ambitious individualists. IONA: Elegant Iona is nothing short of amazing thanks to refined details like the leather tabs on the headboard and the wooden base. IONA: A handcrafted masterpiece that plays with the grain of the wood. MAINE: Unparalleled mix of materials out of the finest genuine leather, real loden from the Tyrolean mountain sheep and solid wood. MAINE: The organic shape of the headboard creates a very special feeling of security in addition. 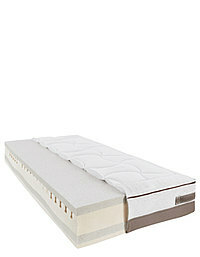 MONTEVIDEO: Its linear design is a striking showstopper in every bedroom. 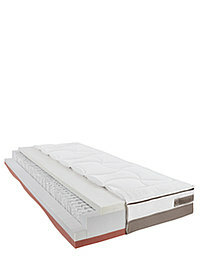 MONTEVIDEO: The additional topper ensures particularly soft comfort when lying down. MONTREAL: With a comfortable upholstery headboard and inviting materials, Montreal makes a true sense of well being possible. MONTREAL: The wooden base made of solid oak is reminiscent of the cross-bone pattern of outer soles by BIRKENSTOCK. 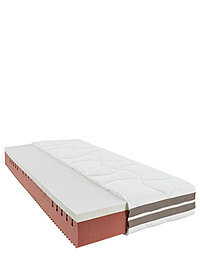 SÃO PAULO: The expressive headboard with contrasting genuine leather piping. SÃO PAULO: Technically demanding and curved on two sides – creates a sense of luxury. *May not be available in all countries.